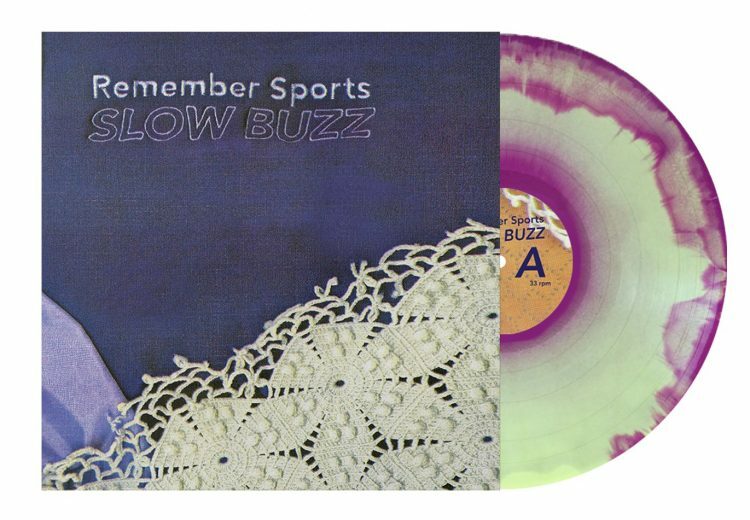 It took more than two years for all of the pieces to come together for Remember Sports’ forthcoming third album. 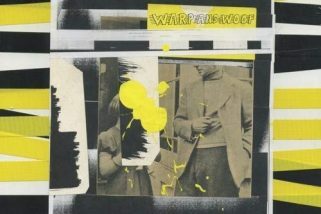 In the time that has elapsed, Carmen Perry (vocals, guitar), Jack Washburn (guitar), and Catherine Dwyer (bass) have relocated from the tiny Midwestern college town of Gambier, Ohio, to Philadelphia, Pennsylvania, adding new drummer Connor Perry and retiring their original nom de plume, SPORTS, along the way. Slow Buzz, is out May 18, 2018 on Father/Daughter Records. The Grimace Purple & Bone Color in Color is only available for purchase directly from Father/Daughter and Remember Sports. The individual vinyl on Father/Daughter is sold out but still available in bundles HERE. Remember Sports Bandcamp HERE. The Baby Blue pressing will be available in stores. Both vinyl colors come with a full color, double sided lyric sheet, a 4″ x 6″ temporary tattoo sheet, digital download card, and an exclusive die cut sticker illustrated by Faye Orlove.